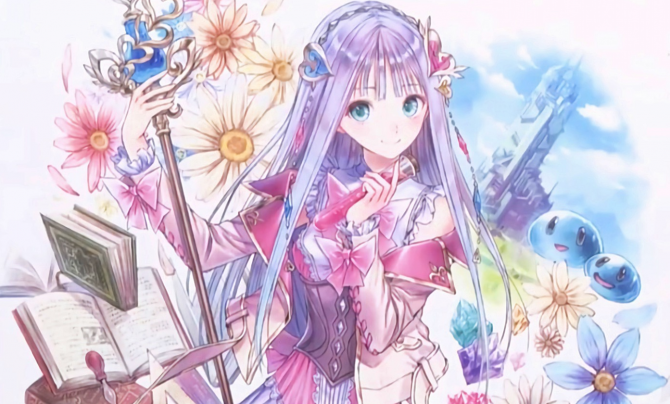 Gust and Koei Tecmo published the first trailer for Atelier Lulua: The Scion of Arland, the new Atelier game starring Rorona's daughter. 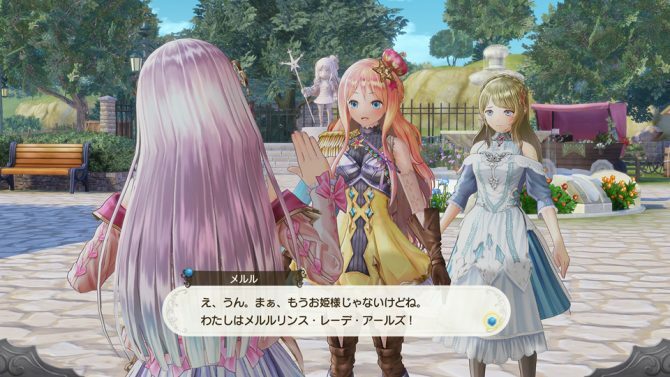 Koei Tecmo and Gust revealed the first trailer for Atelier Lulua: The Scion of Arland, revealing the game’s Japanese release date as well. The trailer is narrated by Lulua, voiced by Miyuri Shimabukuro. She was spending her days training as an alchemist, but was constantly frustrated, as she’s unable to help her mother with her alchemist work. Until one day, when she found a mysterious alchemy book. She decides to go on an adventure to decipher it. You can watch the trailer below. 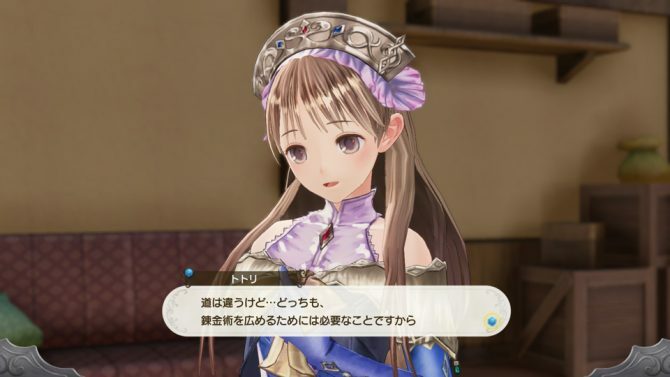 Lulua wishes to become a great alchemist like her mother Rorona, who was the main character in Atelier Rorona. Rorona’s new design in the game has been revealed a few days ago, along with Liona’s new design and Chimdragon’s. New characters Ficks and Nico were revealed as well. Not that I dislike the western names, but in Japan, each Arland game was numbered, so Lulua’s game is called in Japan “Atelier Lulua: The Alchemist of Arland 4” as you can see in the trailer. Makes it easier to know it’s the fourth game of the series of Atelier games taking place in Arland. All three previous Arland games, Atelier Rorona: The Alchemists of Arland, Atelier Totori: The Adventurer of Arland, and Atelier Meruru: The Apprentice of Arland, are getting remastered in one package for PC, PS4, and Switch on December 4. 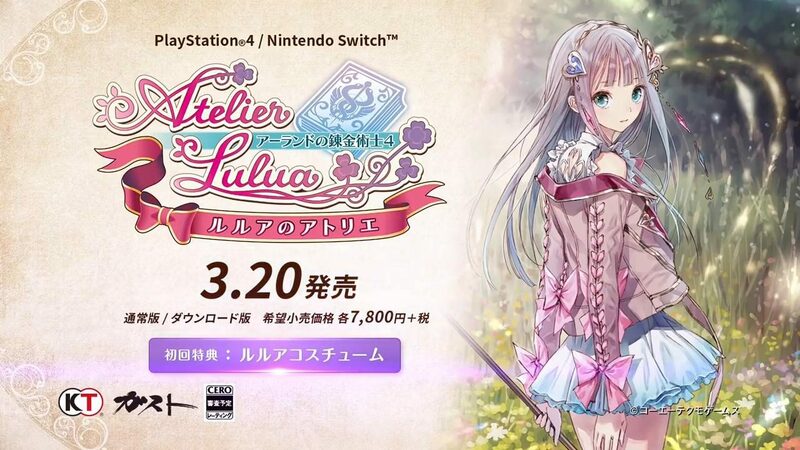 Atelier Lulua: The Scion of Arland releases in Japan on March 20 and in the west in Spring 2019, for PC, PS4, and Switch.